Enjoy an amazing journey in the Bubble Maze! Shoot, pop and explode all the colored balls, and blast your way to win. Discover cool visual effects and unique power-ups that will make your gaming experience a one of a kind! Explore an incredible adventure full of additive puzzle levels and exciting brain teasers. The best maze game starts now! - Match 3 or more identically colored bubbles to pop & win coins. 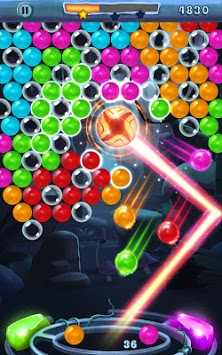 - Explode bubbles, clear the board and move on to the next exciting level. - Win awesome boosts and use them to create major explosions! 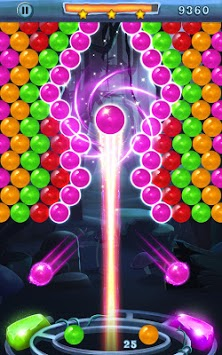 - Plan your bubble shooting moves. Remember, blasting more bubbles in one shot is always better! - Make sure to aim your shooter well so your bubble will land exactly where you want it. - Play anytime and anywhere, no wifi and no internet connection is needed! - Bubble swap option is totally free- use it wisely! Tap on the bubble to change its color. - Relaxing game to play. - Share the bubble fun with friends and see who can get the highest score. Blast your Bubble Maze Experience! * Pop 7 bubbles in a row to get a fireball that will burn every bubble on the way and cut through a pass. * Drop 10 balloons in a single shot to get a bomb that will take out the surrounding bubbles. If you are looking for a fun way to relax, this game is perfect for you! Warm up your fingers and get ready to pop! 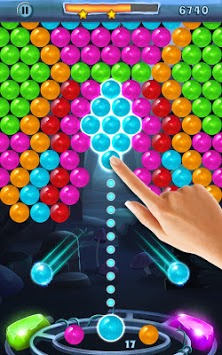 Enjoy the best bubble popping game on your Android device for free! Have a blast playing our game!